A three judges’ bench led by the Chief Justice Dipak Misra withdrew the earlier direction issued in Rajesh Sharma case which stated that complaints under Section 498A of the IPC should be scrutinised by Family Welfare Committees before any legal action by police. The Supreme Court of India on September 14, 2018 modified its July 2017 order in dowry harassment case for preventing misuse of Section 498A of Indian Penal Code (IPC). The Section 498A (dowry harassment) of IPC protects gender justice and rights. The bench acknowledged that there was misuse of the provision leading to social unrest; however, it cannot constitutionally fill up the gaps in penal law. The top court left it to Parliament to make suitable rules to check abuse of the law. The apex court had on April 23, 2018 reserved its verdict on a batch of pleas seeking modifications in July 2017 judgement that had reduced the strictness of the anti-dowry law on the offence of subjecting a married woman to cruelty by spouse and in-laws. • The bench was hearing a plea filed by an NGO 'Nyayadhar', an organisation formed by a group of women advocates of Maharashtra's Ahmednagar district. • The plea seeks sharpness in section 498A, claiming that the earlier direction has made the legislation valueless for the women victims. • The plea suggested that out of the three members in Family Welfare Committees, at least two should be women and one should have done Masters in Social Work. • It suggested recording of facts at the time of counselling and said the committee should also consider the economic status of the parties. 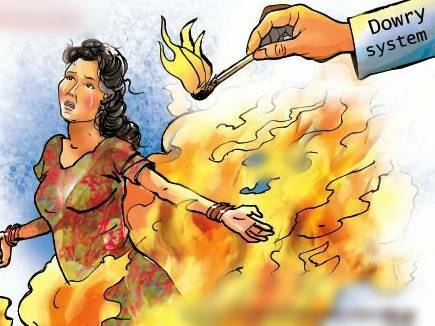 The Supreme Court on July 27, 2017 ruled that the police cannot arrest the accused without conducting a preliminary inquiry under dowry harassment cases. The court had put an end to immediate arrests in dowry harassment cases, under Section 498A of Indian Penal Code (IPC). The ruling was made by a bench of Justices A K Goel and UU Lalit. The court held that arrests in dowry harassment cases cannot be made on a belief that the accused may have committed the offence. There has to be adequate material to show that the arrest was necessary to prevent the accused from committing any further offence. However, the bench made it clear that its directions will not extend to cases of tangible injury or death. The court directed states to set up Family Welfare Committees (FWC) comprising 3 members in every district across the country to keep an eye on the uprightness of each complaint. However, these committee members will not be considered as witnesses. The court also ruled that every complaint under Section 498A received by the police or the Magistrate should be referred to and looked into by such a committee. No arrest should be affected till the report of the committee is received.